The firing between militants and policemen at a Srinagar hospital and the escape of a Lashkar-e-Taiba terrorist was a carefully planned operation by the terrorist organisation. Naveed Jutt, a resident of Multan in Pakistan Punjab, escaped from SMHS hospital on February 6 after two Lashkar militants opened fire at the policemen who were accompanying him to the hospital for a medical check-up. Two critically wounded policemen succumbed to their wounds while the third remained unhurt. 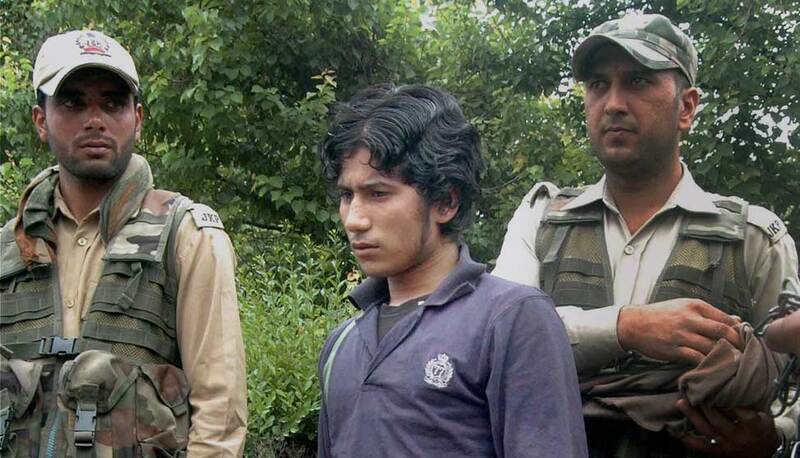 Additional Director General of Police Kashmir Muneer Khan said the police have succeeded in uncovering the plot to free Jutt after arresting two militants, Shakeel Ahmed and Tika Khan and two overground workers, Syed Tajamul and Muhammad Shafi Wani, who planned the operation. All four are residents of Kakapora in Pulwama. Khan said Jutt and another militant Hilal are still at large. ''We will get soon the hands and neutralise them,'' he said. Khan said the plan to free Jutt was hatched four months back. “Initially, they (militants) had planned Jutt's escape from Pulwama court, but could not do so. Then they hatched this plan to free him from the Srinagar hospital,'' he said. He said Tika and another militant Hilal made several visits to the jail on different alibi for two months. ''They were also in touch with Jutt on mobile,'' he said. He said investigations have found Hilal handed over the pistol to Jutt after the policemen were attacked. ''In CCTV footage, Jutt is seen running with a pistol in his hand,” Khan said. He said after killing the policemen, Jutt and two militants fled on the motorbike and then at Abdullah Bridge, Tika picked them up in the car and took them to his home at Kakpora. “Unfortunately, when our teams raided the house, Jutt and Hilal had left the spot,'' Khan said. Taking note of the lapses that resulted in Jutt's escape, the government has placed under suspension superintendent of Srinagar Central Jail Hilal Ahmad Rather.